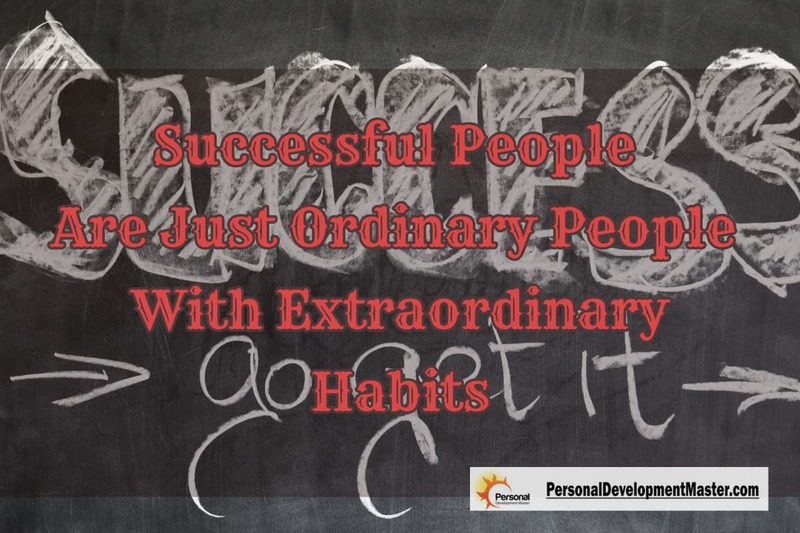 It’s been said that successful people are just ordinary people with extraordinary habits. This might seem rather mundane. Most of us were either taught or came to believe that success is a rare combination of talents that only a few people are lucky enough to be born with. Each of us knows someone successful, but can’t quite put our finger on why they’re so successful. Could it just be the right habits? It can. But it’s not just having the positive habits. It’s avoiding negative habits, too. Unsuccessful people are just as skilled, only they’re skilled at avoiding success by engaging in poor habits. Over time, it’s your habits that ultimately determine your success. The good news is that habits are learned behaviors. Just as you learned to brush your teeth or get out of bed each morning, you can learn the habits of success. The bad news is that habits can be tricky to install and maintain. Bad habits are hard to break. However, if you can enhance these two skills, you can live the life you’ve always wanted. Before we get started, let’s consider what a habit actually is. The dictionary defines a habit as “a settled or regular tendency or practice, especially one that is hard to give up”. So, a habit is just something that you do regularly. You do it with little mental effort, like brushing your teeth. Making 100 cold calls each day can be a habit. But being miserable throughout the process suggests that it’s not a true habit, since it would be easy to give up. So, we’re not just talking about doing something useful on a regular basis. We’re talking about making it a comfortable part of your routine. That makes all of this a little more challenging. Each successful person has a unique set of habits, but there are many habits common to most successful people. These habits are a great starting point for creating real change in your life. Create a core list of success habits and then add the necessary habits that fit your needs. By adopting these habits, you will find yourself becoming more successful, too. Consider these habits, but avoid viewing this list as exhaustive. Feel free to add to it as you see fit. Have a target. You wouldn’t leave your house without a destination in mind. You’d never arrive if you didn’t know where you were going in the first place. Setting goals is a huge part of success. It would be challenging to find a highly successful person that couldn’t recite their goals to you on command. Do you have goals? If not, why do you think that is? Successful people are proactive. Those who are successful choose what they want to happen rather than merely take whatever comes their way. They are prepared for the worst. When they see that something needs to be done, they do it. Unsuccessful people are reactive. They deal with whatever life throws their way. They don’t do things that need to be done until forced by a dwindling timeline. They don’t prepare for the worst. They just hope for the best. There are many out of shape successful people, but interestingly, the vast majority of them do engage in regular exercise. Many of them choose to perform their exercise in the morning while others are still asleep. This is an example of doing what needs to be done, and doing it consistently. Those that are successful take personal responsibility for their lives. They also take responsibility for a lot of other things, too. The average person would rather find excuses and push responsibilities onto others. They feel more comfortable that way. Taking responsibility is a form of control. When you’re responsible, you can change anything in your life. You don’t have to wait for luck or for someone else to do it for you. A premium is placed on time. Successful people are more concerned with time than they are with money. They are constantly trying to find ways to leverage their time. Try getting someone ultra-successful to give you 10 minutes of their time. They’d rather sit on an anthill. The average person sees their time as worth a certain amount of money per hour. A successful person is always trying to increase the value of their time. The ability to manage emotional states is paramount. Those that are successful do a better job of managing their emotional states on a consistent basis. They make level-headedness a habit. They make decisions with their brains, not their emotions. They are able to forge ahead when anxious. The average person has the habit of being controlled by his emotional state. Use failure wisely. Successful people use failure as a learning tool and as motivation. They have a habit for dealing with failure in a certain way. This “dealing-with-failure habit” doesn’t include quitting or feeling dejected. A person of average success uses failure as an excuse to give up. Those that accomplish a lot have a habit of focusing on the most important things. It doesn’t matter if they feel like doing it. They just do it because it’s the logical thing to do. What does the average person do? They have a habit of doing the tasks in order from most enjoyable to least. They’ll put off the least enjoyable tasks until the last possible moment. Focus on improvement. Successful people are concerned with improvement. They know that a little improvement adds up to a lot over time. Perfection is the enemy of progress. It’s hard to accomplish anything when you’re trying to be perfect. The average person wants to do it perfectly. They also lack the patience to accumulate small improvements. They want instant gratification. These are general habits shared by most successful people. Habits can be much more specific. For example, a successful real estate agent would have a different set of habits than a professional athlete. There are many habits that can make you more successful. Consider the habits that would be most useful to your goals and your general life. You might come up with a few better options for yourself. Take a few minutes to compile a list of habits that would be most useful for you. You already know that new habits aren’t easy to create. With an effective process, though, you can accomplish nearly anything. Instead of attempting to force yourself to create new behaviors in your life, use a more methodical approach. If you learn how to create new habits, you become a very powerful person. Identify the habit you want to create. Let’s use exercising daily at the gym for 40 minutes as an example. Know why you want to create this habit. What will you gain? What are the advantages. Think long and short-term. Give your brain a good reason to want to go to the gym. Identify the cost of not creating this habit. What pain will you endure if you don’t exercise regularly? An unattractive figure? Low self-esteem? Poor health? An early death? Determine the lowest level of the habit. Let’s use exercising daily at the gym as an example. You want to make the habit easy to accomplish. The hardest part of working out at the gym is just getting there. So, the lowest level of this habit might be to get to the gym and exercise for one minute. That’s it. If that proves to be too challenging, make it even easier. You just have to set foot inside the gym. Find a gym close to home. Choose a form of exercise that you like. Find a workout partner that you like. Choose a time of day that is convenient for you. Rent a locker so you can keep a few things at the gym. Keep your gym shoes by the door. Choose a trigger. A trigger is something that you do right before you perform the habit. It might be walking out to your car in the morning or after work. It might be saying goodbye to the receptionist at work on your way out the door. Think about when you brush your teeth. You perform that task right after doing something else. It might be turning off the hall light, shaving, or availing yourself of the facilities. But you have a trigger. Determine a trigger for your habit. If possible, perform your habit daily. Every-other day habits are harder to implement. Once a week habits are much more challenging. Celebrate when you are successful. Remember, for this example, getting to the gym and exercising for one minute is success. Be excited! Jump up and down like you just won an olympic marathon. The key is to make yourself feel good, so you’re more likely to go to the gym again. Be patient. The largest study done on habit formation found that it took an average of 66 days to create a habit. Some people can do it much quicker. Others take longer. You might have heard 30-days, but that’s not supported in the scientific literature. Be prepared for your new habit to take a while to sink in. Remember, the initial focus is on creating the lowest level of the habit. The important thing is making a habit of getting yourself to the gym. The actual exercising will tend to take care of itself. Positive changes in your life will occur more rapidly if you have supporting habits in place. Rather than being a slave to your habits, develop habits that serve your desires. When the right behaviors become automatic, your success will be automatic, too. Creating positive habits is a valuable skill to have, but the ability to stop performing your current, negative habits is just as important. Negative habits create greater challenges in life. It’s like bailing out a boat that’s still filling with water. Your negative habits are drowning your efforts to be successful. But isn’t that the root cause of most bad habits: the desire to feel better in the short term? Consider your goals and list the negative habits that are interfering with reaching these goals. Consider the far-reaching effects of your negative habits. For example, overeating can interfere not only with your health and appearance goals, but can also interfere with your ability to play with your children. You might enlist the help of your partner or close friends. They can probably offer some interesting insight! Pick a habit or two to address. The likelihood of simultaneously dropping every bad habit you currently engage is poor. Either choose the bad habit that is having the greatest impact on your life or choose a habit that will be easy to break. Either make a significant change or allow yourself to gain momentum. Determine the benefit you’re gaining from that habit. Keep in mind that your negative habits are providing you with some type of reward. Otherwise you wouldn’t be doing them! Think about how you feel before performing the habit and how you feel afterwards. What do you get from taking this action that you know isn’t in your best interest? Find another way to get the same benefit. How can you get the same benefit without harming yourself or your life? List a few alternative behaviors that you believe would be effective substitutes and begin making a positive habit out of the best option. 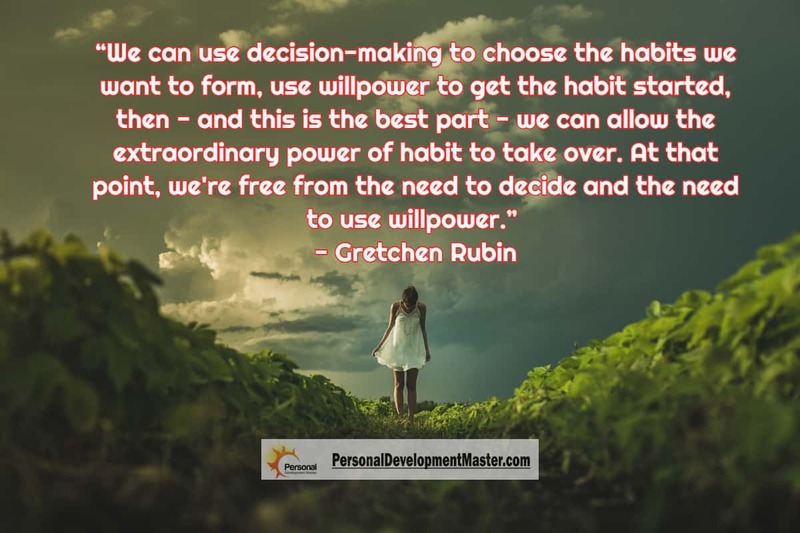 What happens right before you perform the habit? What are the circumstances that trigger your habit? Is it a certain time of day? A stressful interaction at work? Spending time with a certain friend? When possible, avoid the triggers that are most likely to initiate your bad habit. Maybe watching TV late at night leads to overeating. It would make sense to find another activity to keep yourself occupied at night. Do your best to find a way around your triggers and your habit will be easier to overcome. Install a new habit. This is critical to your success. Create a new habit to replace the negative habit. It’s not enough to tell yourself that you’ll meditate instead of smoking. It’s necessary to make a habit of meditating regularly. It’s not enough to think your way past a bad habit. It’s necessary to train yourself to avoid it and to perform the new behavior. Be patient with yourself. Remember that changing your behavior is a significant undertaking. It will be challenging. 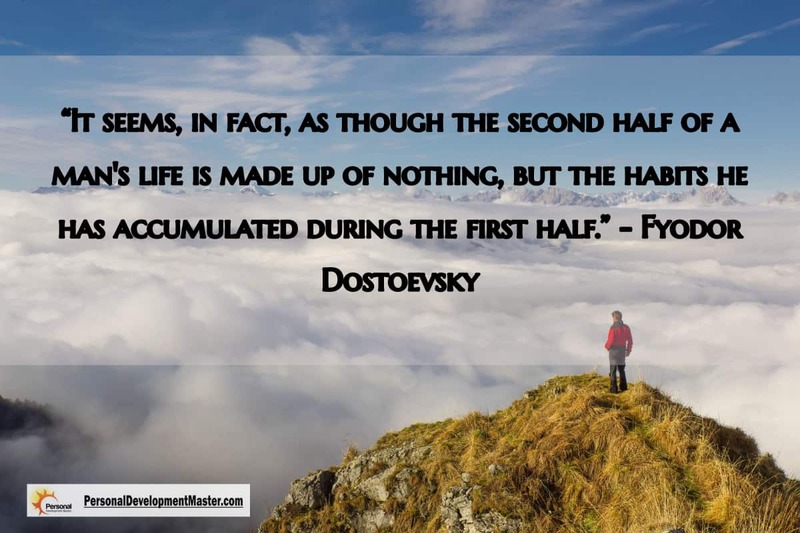 Allow for missteps and understand that backsliding is par for the course. It will take time. 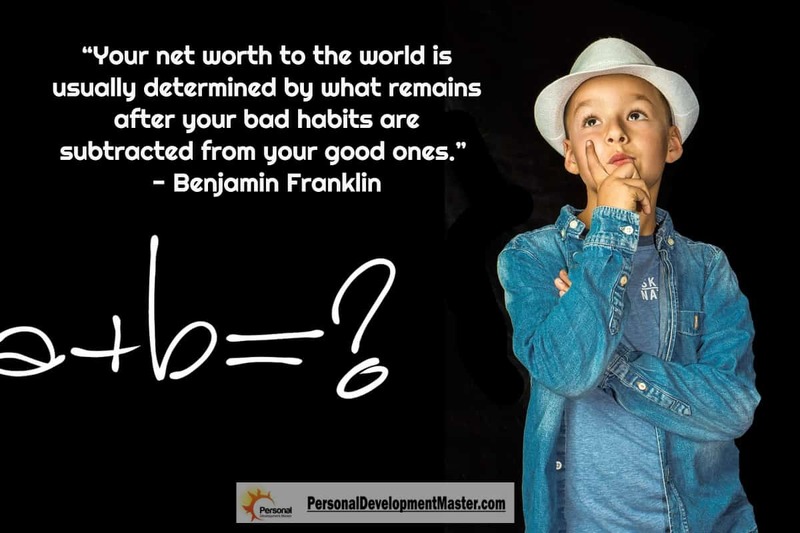 Our lives are largely determined by the number and magnitude of our bad habits. Eliminating these self-imposed anchors is an important skill to develop. 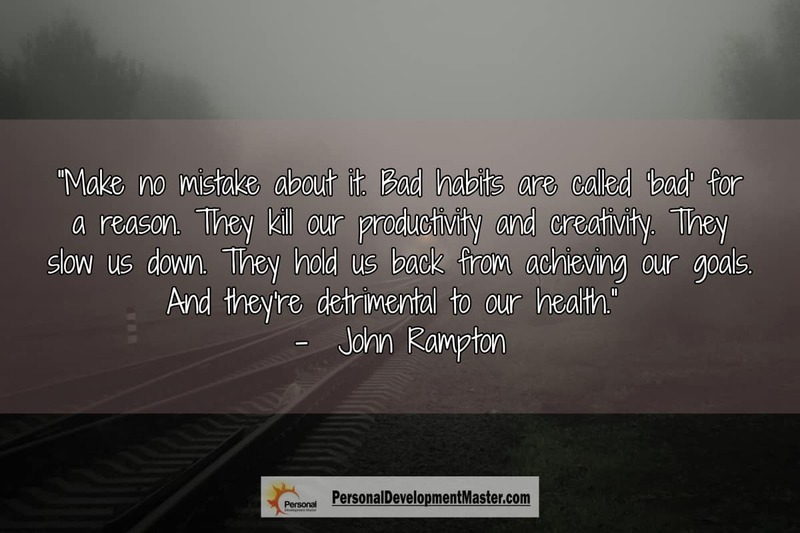 Bad habits provide temporary comfort, so they are especially difficult to eliminate. Remind yourself of the damage being caused by your negative habits. Another important skill to develop is the ability to deal with discomfort. Your ability to handle stress and other emotional discomfort is closely matched to your ability to drop your bad habits. Your habits can lift you to the stars or sabotage your success. The choice is yours. Your success lives and dies by your habits. Your positive habits propel you forward without effort. Your negative habits act as an anchor and keep you stuck in your current situation. Creating positive habits and dropping negative habits can push you up to a new level of success. Which of my current habits support the pursuit and accomplishment of these goals? Which of my habits create challenges with regards to my goals? Which habit is creating the greatest impediment to my success? What is the benefit of this negative habit? What do I gain by performing this behavior? What new, positive habit would satisfy the need that the old habit addresses? What are the three most important habits I could develop to support my goals? 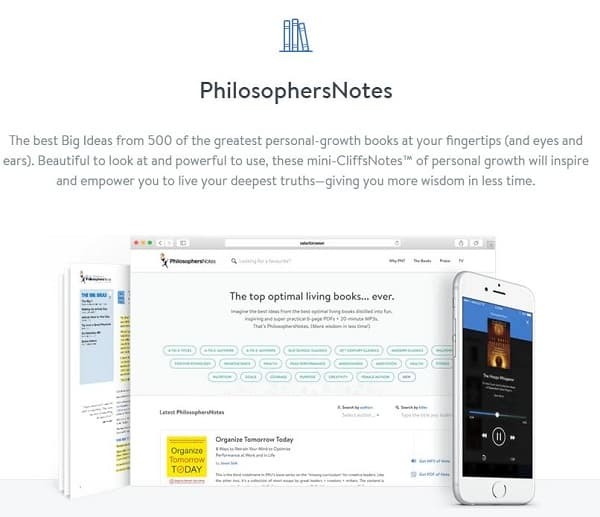 How will I develop these habits? 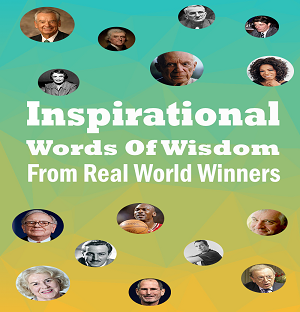 The world’s most impressive people gained that distinction through their habits. Whether you want to be wealthy, healthy, wise, or all three, you can use a role model and adopt their habits. Take advantage of someone else’s success. Take a look at your goals and the type of person you want to become. Who has accomplished those things? It might be someone from history or your next-door neighbor. Use the library and your social skills to determine the positive habits they consistently perform. Create a list of the habits you want to incorporate into your life and get started. Creating and breaking habits is very challenging. Old habits die hard, but they can be overcome. New habits can be nearly as challenging to develop. Willpower isn’t enough. It’s necessary to use an effective process that will increase the odds of success.